Project Title: “Utilization and Transformation of CO2: A DFT study on Pd- and Ni-catalyzed carboxylation of organic halides with CO2”. Initially for one year (will be extended upto 3 years subject to satisfactory performance of the candidate, as well as the availability & release of funds from DST). Note: The post is purely temporarily in nature and coterminous with the project. Desirable: Prior experience or basic knowledge in Computational Chemistry related research is preferred. Editor’s Note: Msc Chemistry Job Opening at Central University of Tamil Nadu. Ph.D. Chemistry jobs, Chemistry jobs 2019. Central University of Tamil Nadu hiring candidates with Msc degree in chemistry. Msc Chemistry job opening 2019. Msc Chemistry jobs 2019. 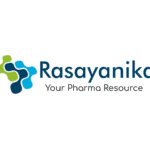 Subscribe to Rasayanika for latest Chemistry and Pharma jobs.